A retirement visa can be granted for 4 years to someone with a monthly pension, irrevocable annuity or retirement account of R37 000 from a net worth/combination of assets realizing R37 000 per month and wishes to retire temporarily or permanently in South Africa. 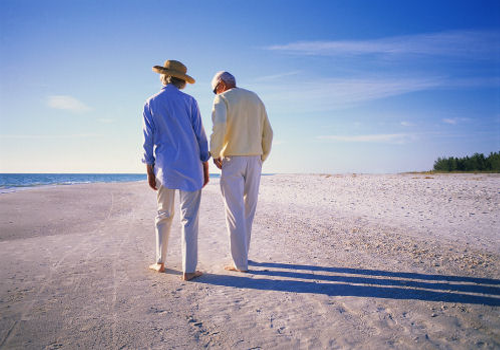 A South African Retired Person's permit is ideal for people want to retire in South Africa temporarily or permanently subject to the financial criteria or parameters being satisfied. This South African visa category is designed for those intending to retire in the country or wishing to have a long stay in South Africa with the need to renew the visa or permit. This retirement visa is not based on age but rather on assets, rental income and / or bank accounts generating income. It is based upon foreigner provide proof that such foreigner has the right to a pension or an annuity or retirement account which will give such foreigner a prescribed minimum payment for the rest of his or her life from the country of his or her origin; or a minimum prescribed net worth generating income for life. This South African immigration visa is a popular option for seasonal visitors, i.e. those visiting the country for a period of six months or more. An important point to observe is that successful applicants are under no obligation to apply for permanent residence. The temporary grant may be renewed indefinitely so long as the requirements continue to be met. However, permanent residency does bestow additional benefits upon its holder. In South Africa, immigration through the retired person's route can be either a temporary visa permit or a permanent residence visa as outlined in the eligibility criteria summarized below. The temporary route is granted for four years and is renewable indefinitely for four-year periods. The permanent route offers permanent residents the same rights and privileges as those with South African citizenship, with a few key exceptions, most notably the right to vote. In both the temporary and permanent residence category the, South African Retired Persons Visa is based upon financial criteria and unlike a South African Work Visa, no prior job offer needs to be in place before an application can be made. Although unlike temporary South African visit visas, retired people can permitted to work if they wish, provided they apply under the correct visa category – Retirement plus Work Visa We wish to stress that the category “retired person", does not confer a maximum or minimum age limit for this class of visa for South Africa. Retired person's visas may be awarded to people of all ages, proving that the eligibility requirements below are met. A pension, retirement account or irrevocable annuity which has a value of at least R37, 000 per month. This requirement applies to each person making an application. Alternatively, candidates may obtain a South African visa of this kind by demonstrating a "net worth" through a combination of assets which equates to a minimum of R37, 000 per month. Once again, this criterion applies to each person making an application. The nature of this type of immigration to South Africa is such that no specific stipulations are in place regarding a candidate's ability to work in South Africa. In most cases, it may be assumed that people embarking upon this route, based as it is upon a steady income from a source other than employment will not be entering the country to work. However, each case will be considered individually and candidates may be able to work during their time in the country. Applicants wishing to work will need to submit an employment contract and demonstrate that no South African citizen or resident is available for position. If candidates were to achieve permanent resident status then as with other routes to settled status, working in South Africa would be permitted. Spouse immigration and dependent immigration are now provided through temporary South African Retired person's visas. This route to South Africa is based upon the financial security of each applicant and unlike work permit visas or business visas, the dependent family members of retired applicants automatically qualify for visit visa status to accompany the principle applicant and does not have to meet the same criteria for temporary residence but for the purposes of permanent residence they are treated as one family unit. However, in cases where an applicant successfully obtains permanent residence as a retired person, their spouse and/or dependent children, i.e. those aged under 21 will also qualify for permanent residency. An alternative route exists in the financially independent visa for which candidates would need to be able to demonstrate a net asset value totalling not less than R12 million. In addition, it would also be necessary to demonstrate proof of payment of R120,000 as a non-refundable sum to the Director General of Home Affairs. The application for a financially independent visa will lead to permanent residence. A retired persons visa may be issued for a period exceeding three months to a foreigner who intends to retire in the Republic, provided that the foreigner provide proof that such foreigner has the right to a pension or an annuity or retirement account which will give such foreigner a prescribed minimum payment for the rest of his or her life from the country of his or her origin; or a minimum prescribed net worth. The Department may authorise the holder of a retired person permit to conduct work under terms and conditions as the Department may deem fit to determine under the circumstances. A retired person visa may allow its holder to sojourn in the Republic on a seasonal or continuous basis; and not exceed a four-year period, at the expiry of which it may be renewed one or more times.